Sorry for the abrupt leave of absence, but I didn't realize how packed my days were going to be in New Orleans! 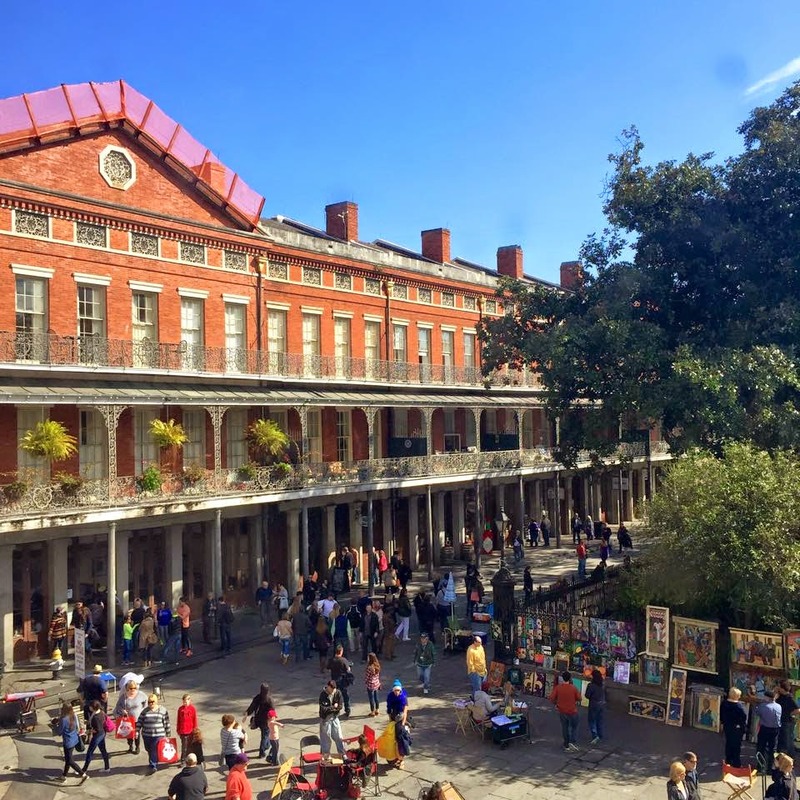 This trip was part of a travel class where we studied Voodoo, so our itinerary contained a few museums, cemetery tours, and a few restaurants, but for the most part we had free time. I signed up for this course over a year ago, and seeing it come to life was amazing. 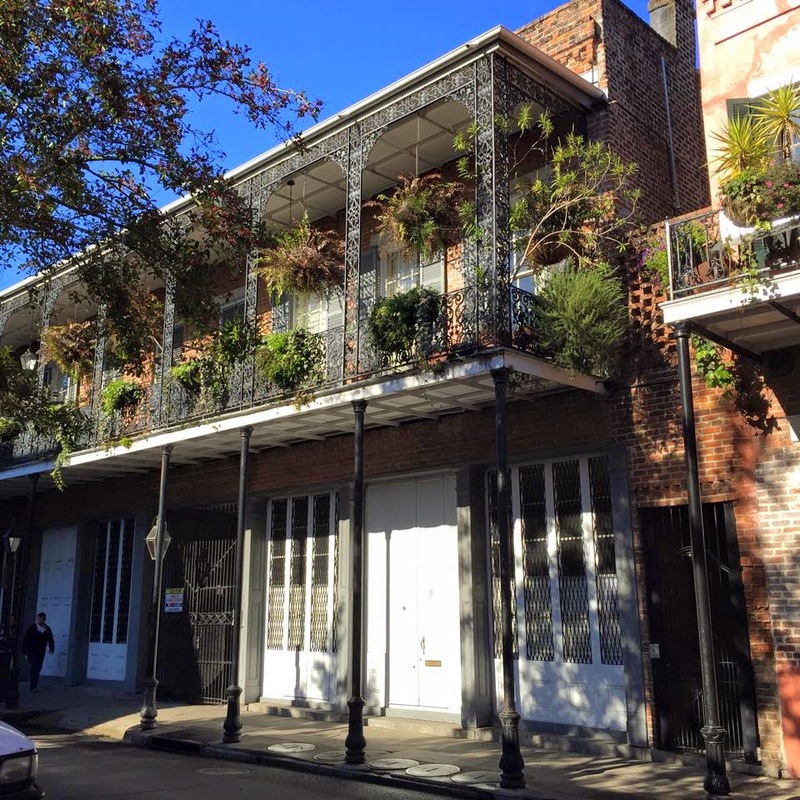 We stayed at Hotel Provincial in the French Quarter, otherwise known as the most haunted hotel in America. There are five buildings within the hotel, and I happened to stay in the most haunted one. It used to be a Civil War hospital, and I was pretty freaked out about staying there. However, after the first night I realized there was nothing to be worried about. My roommate and I even had our beds shake one night and I wasn't scared! The picture is of the courtyard of the newer buildings, the fountain was so pretty, and I'm just obsessed with the red brick. Fun fact, they shot scenes from The Vampire Diaries in this courtyard! The architecture was so breathtaking in New Orleans. I was seriously taking pictures of every single building, I have a problem. But I really just couldn't help it, the French Quarter was beautiful. My future home needs one of these balconies. A couple blocks down from the hotel was Jackson Square, the place I feel I spent most of my time. One of my favorite things about the city was the art that people sold on the streets, as well as the live jazz music that was on nearly every street corner. There's so much culture there, and it's just not the same walking down a street without hearing lively music. 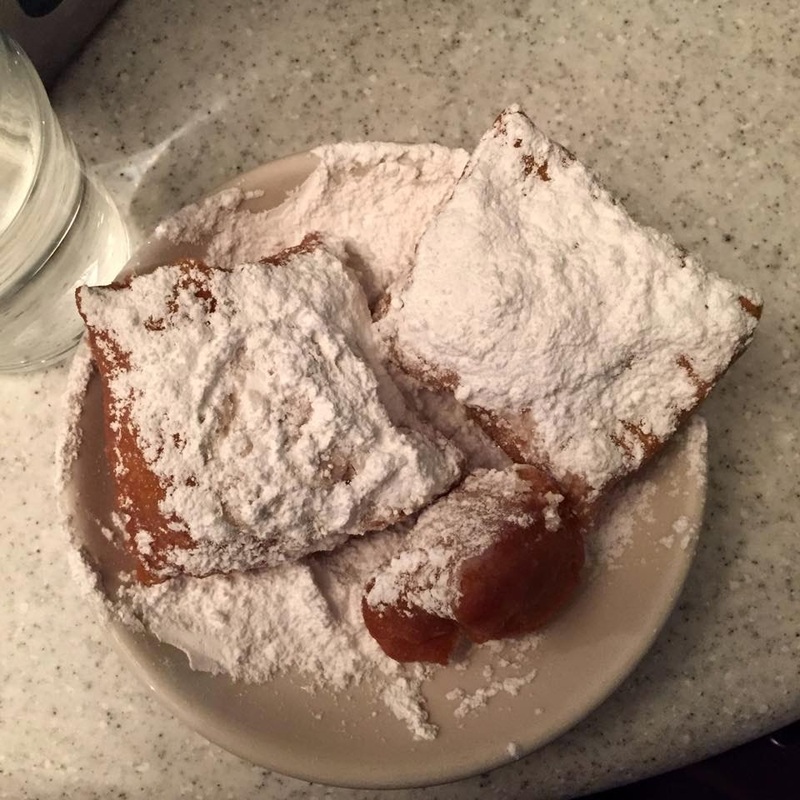 A little further up Jackson Square was Cafe Du Monde, the restaurant that serves only beignets and drinks. There isn't much to say on this except that these are the most delicious things on the planet, and friendships were made by sharing a plate of these bad boys. 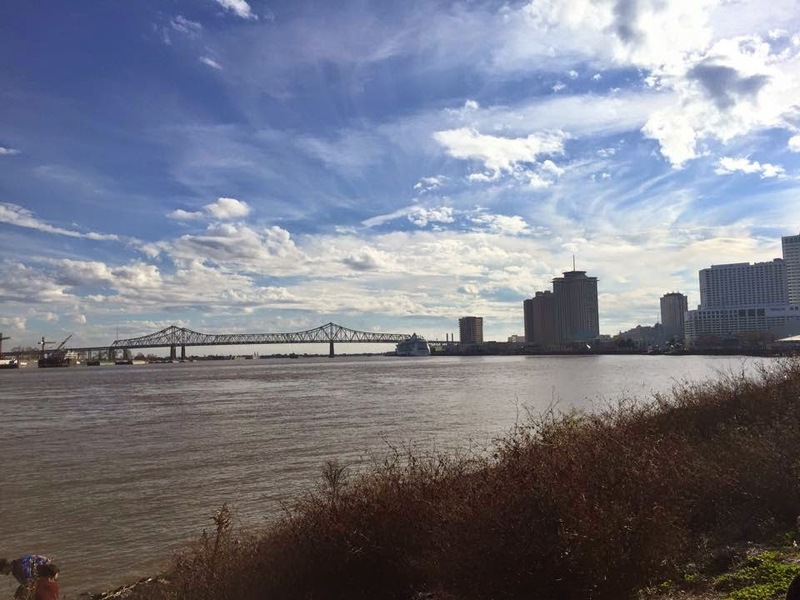 The Mississippi River is beautiful. Not in the most conventional of ways, but more of the "I just walked a block out of the city and I can finally see nature again" sort of way. The sky was clear, it was a little cold, but it was so relaxing to step out of the craziness for a second. If I have any regrets about the trip, it was not going to the river more than this one time. To prevent this post from being extraordinarily long, I'll be making a part 2 to come tomorrow! New Orleans sounds lovely, I hope I'll be able to visit one day! I'm a massive fan of horror films, so I would love to stay in that haunted hotel too! I had a blast! And yeah the class was super interesting and fun. Ngl I brought along a black dress to act like I was in Coven...everywhere I went I was like "that was in the show!" It's seriously amazing! 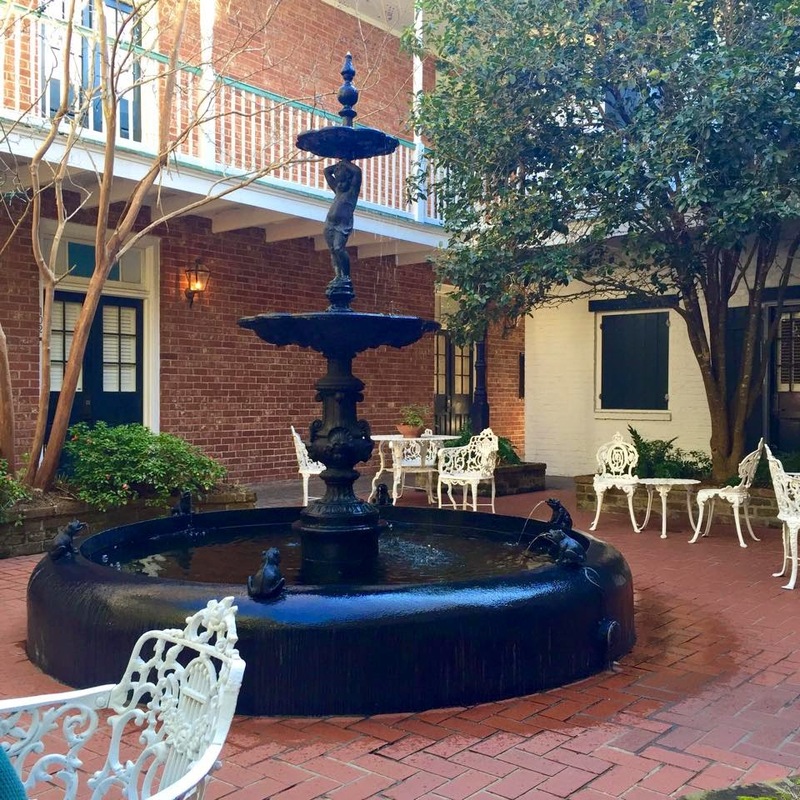 Hotel Provincial, along with being haunted, is in practically the best location in the French Quarter. I could walk everywhere I wanted to go in New Orleans!